Postcard from Cuba: evolution within the Revolution? Cuba's 'new, innovative and creative' industry emerging from the underworld means there's a PR market worth exploring. Last March, Cuban TV viewers were shocked to see the country’s most popular TV comedian, Pánfilo, phone the US President in a split-screen dialogue. Their shock deepened a week later when Barack Obama appeared on the popular programme to, awkwardly but amiably, learn how to play dominos. "No es fácil (it’s not easy)," Obama observed about Cuba’s tabletop pastime. "Pero tampoco es difícil (but it’s not hard, either)," Pánfilo replied. The scene was head-spinning. Here was the president of the world’s largest economy – capitalist and market oriented – appearing on the most popular TV programme in a communist country where it is illegal to operate private TV and radio channels. Obama’s appearance serves as a metaphor for where Cuba stands on marketing and comms: old and new, official and unofficial, socialist and market-based, clumsily moving alongside each other. It’s important to underscore that the Cuban government rem­ains solidly committed to its socialist model. One of the key elements, enshrined in Article 53 of the constitution, is that all mass media are the property of the state and, importantly, must serve socialist ends. Advertising, as recognised outside Cuba, is not allowed. And for much of the past half-century, there was little need to advertise. Scarcity was the norm for consumer products and private enterprise was illegal. Two trends in the past two decades have moved the country closer to an innovative and often underground marketing industry. First, in response to the end of Soviet subsidies in the 1990s, the Cuban government allowed more people to work for themselves. Today, these ‘cuentapropistas’ or self-employed number nearly half a million. Pamphlets, signage, business cards and brands are now used to differentiate businesses. As a result, there is a burgeoning design, printing and distribution industry. The second trend involves a very Cuban innovation in media programming. El Paq­uete Semanal (The Weekly Package) brings primarily pirated US and Latin American television programming to Cubans via USB pin or hard drives at costs of up to US$8 (£6) monthly. Some paquetes contain up to 1TB of telenovelas, movies and documentaries. El Paquete has begun to include commercials, in between programming, for the cuentapropista businesses that have become advertisers. They are produced by videographers and creatives who represent Cuba’s nascent ad agency business. This is pure ingenuity and fascinating to see evolve. The government has tolerated El Paquete as it has avoided political or socially disruptive programming. But putting together the programming remains illegal. 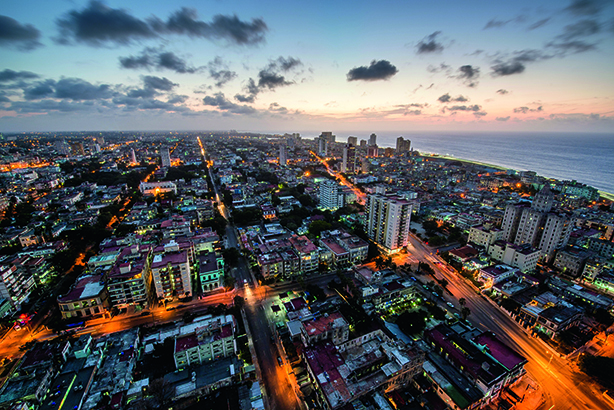 Finally, Cuba has much to offer the marketing services world beyond the island. With high levels of education and a tremendously creative culture, Cuban professionals could serve as an interesting talent pool for agencies and others. Just how, and how quickly, Cuba’s nascent marketing services model will evolve is unclear. Much will depend on the government. But today we see a new, innovative and creative industry taking shape. As Obama and Pánfilo noted: "No es fácil... Pero tampoco es difícil."